Oh. So now I was feeling a bit guilty: I spent much of last summer looking at potential tent purchases without arriving at a decision. 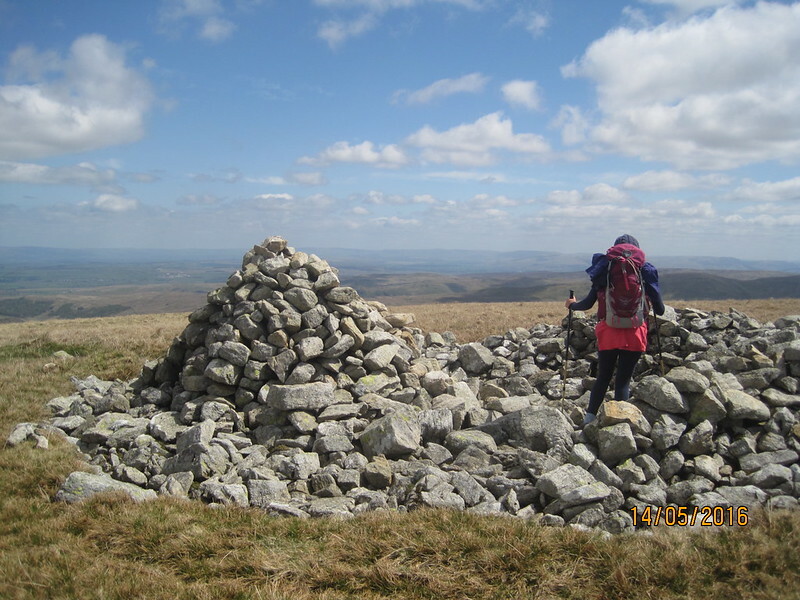 I’ve long be aware that all of the kids, and particularly A, have long been keen to try their hand at wild-camping. 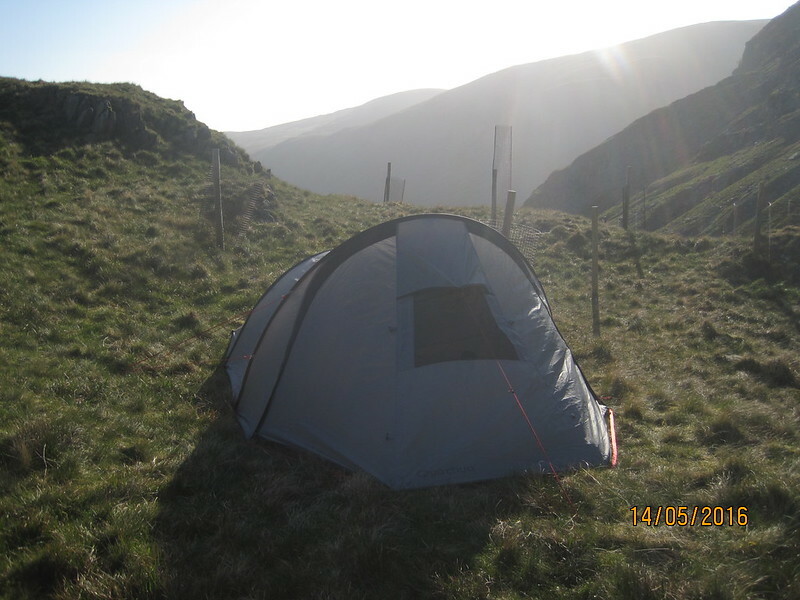 I already have a tent – an old Saunders Spacepacker, and very good it is too, but although I think it was advertised as a two-man tent, it is really more of a spacious solo affair. 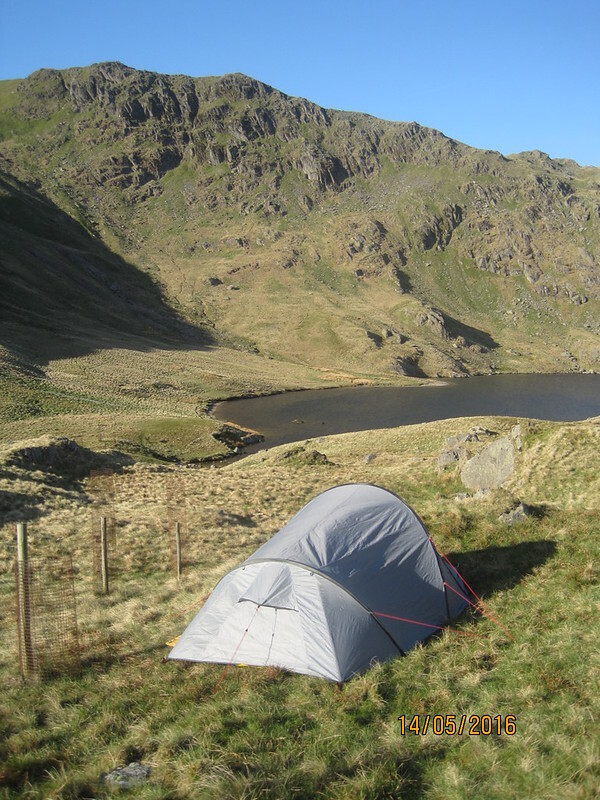 After more lengthy deliberating I’ve bought A her tent, an early present, from Decathlon, a Quickhiker Ultralight 3. (I might stretch to a review when we’ve tried it more thoroughly). I ought to have known really: A has gradually been accumulating her own kit – she bought a self-inflating mat in a sale, asked for a lightweight sleeping-bag for her last birthday etc. So, now equipped with a bigger tent, we were ready for the off. No time like the present: the day after my wander up Kentmere Pike and the weather was still fine, forecast to be cold and bright, the boys were sleeping over at a friends, so we could legitimately go without them (they were a bit miffed, hopefully we shall soon all get out for a camp). 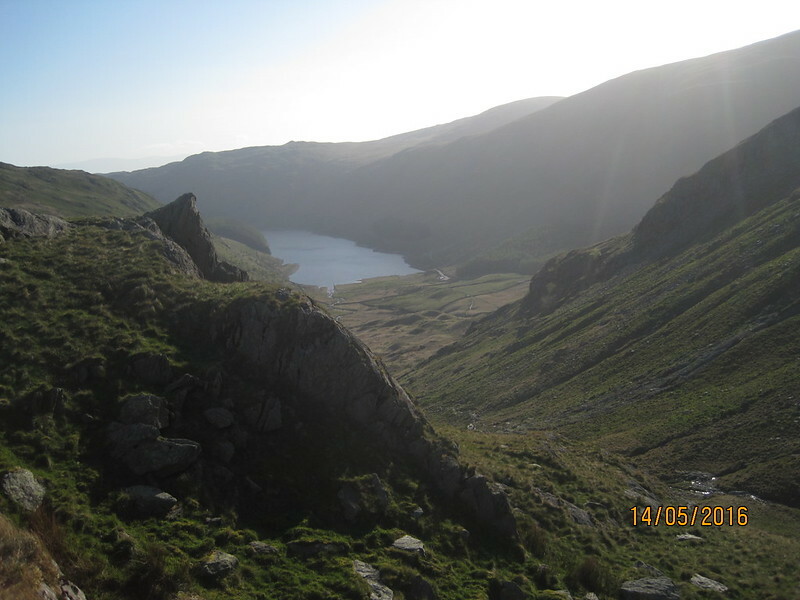 On the Friday evening then, we drove up to the head of Haweswater and walked the short distance up to Small Water. 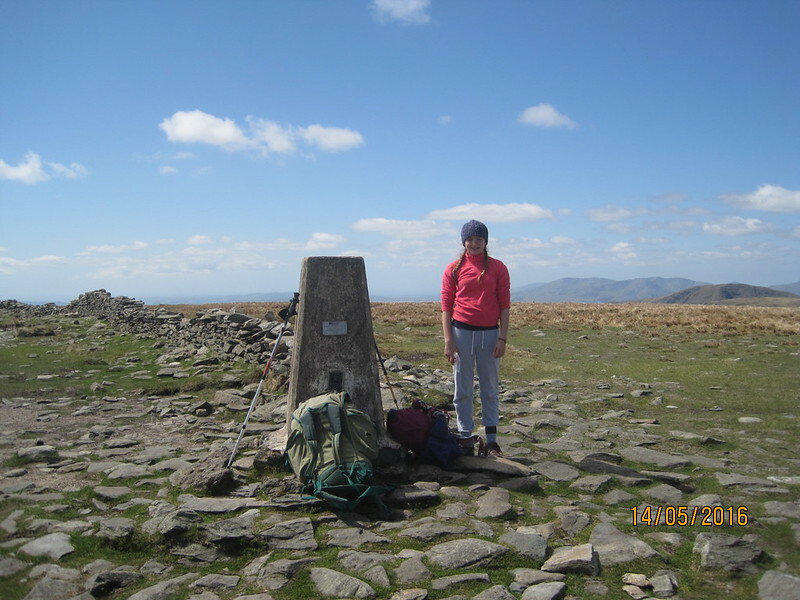 I’d been poring over my maps, looking for potential places to pitch – this seemed ideal: short walk in, a water supply, potential flattish pitches, a reasonable altitude and so it proved to be. A slept well in her newish bag, but it had been very cold and, although A claimed that I was snoring, I felt like I’d been awake and shivering all night in my inadequate kit. The clear skies and sunshine the following morning were some compensation, although it was still perishing. A slept so well, in fact, that she didn’t stir until around eight, which is criminally late in my book. We had some difficulties with my stove (wrong combination of gases for the cold conditions perhaps, or using an MSR stove with Coleman canisters?) but we managed to warm our Fruit and Nut porridge which had been soaking overnight and which proved to be unusually palatable as far as backpacking fare goes. The posts here are where trees have been planted. 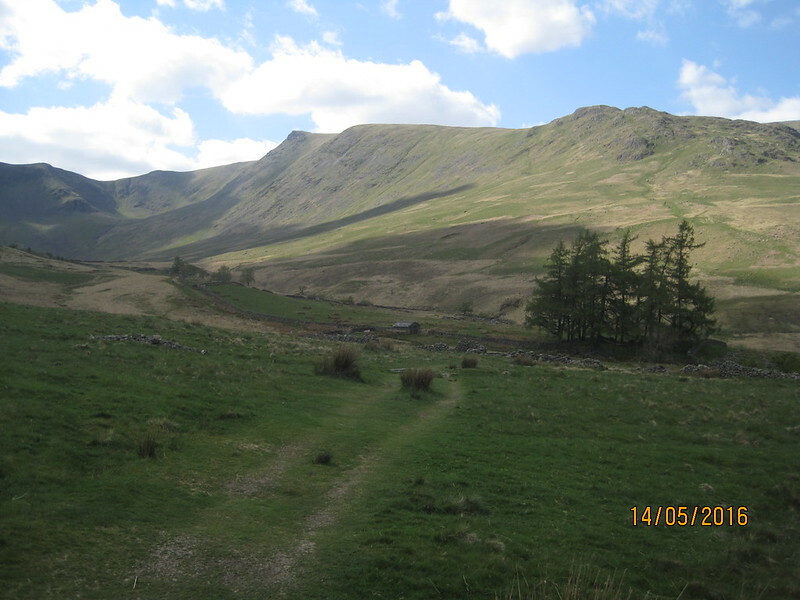 Lots of trees have been planted in this area and also up Longsleddale as far as Wrengill Quarry (and maybe further). It seems that somebody is making a concerted effort to reintroduce woodland in the Lakes – more power to their elbow, whoever they may be. But looking at it from below, I wasn’t completely confident, especially since we would be carrying heavy packs. 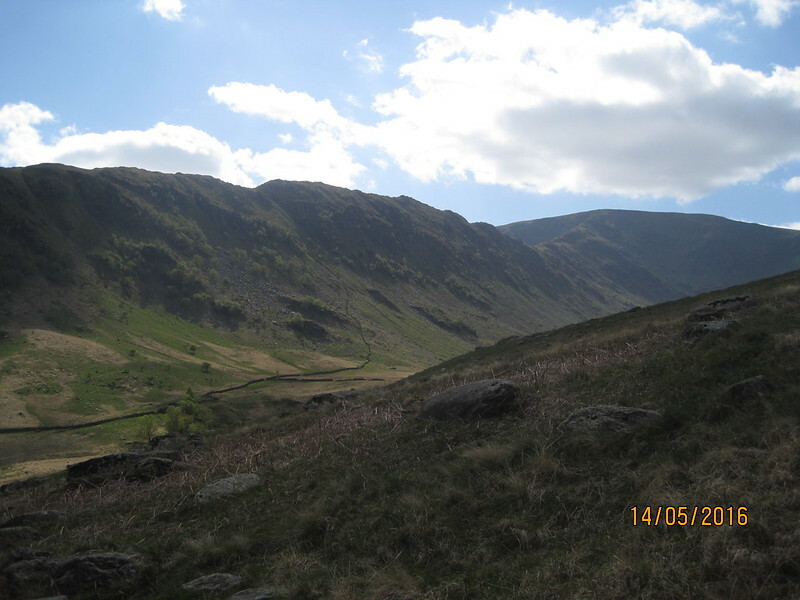 I offered A the deciding vote – Piot Crag or the Nan Bield? 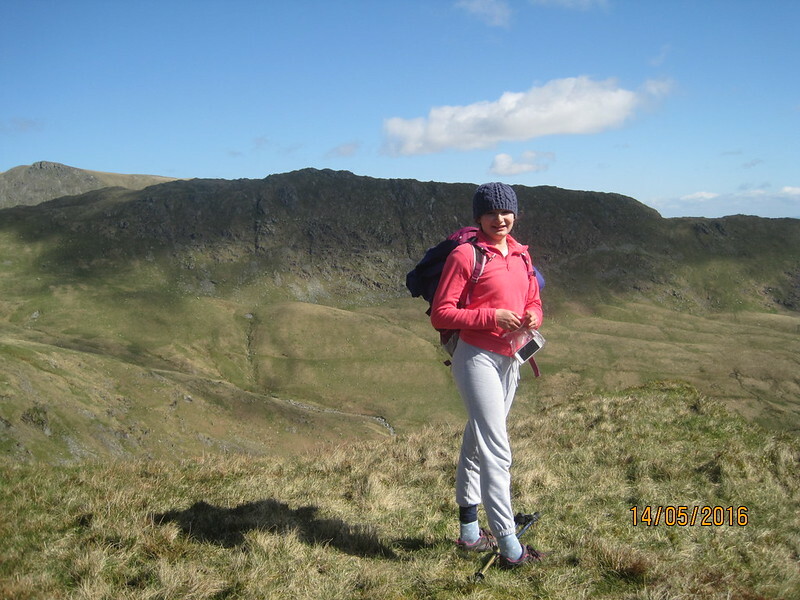 – explaining that we may have to turn back if we couldn’t get through the crags on Piot Crag. Fair play. So we did. 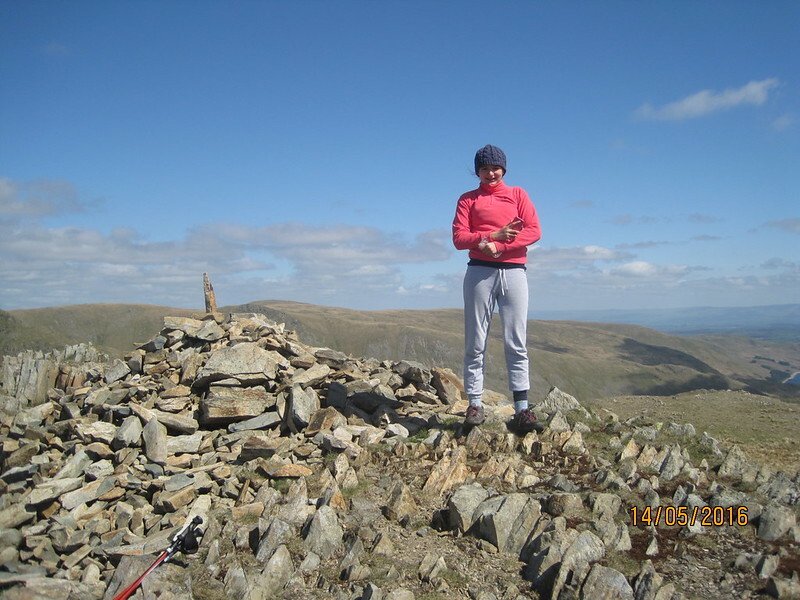 A on the Piot Crag ridge with Rough Crag behind. In the event it was a cracking route, although we did have to traverse the ridge a couple of times, looking for easy rakes through the crags. 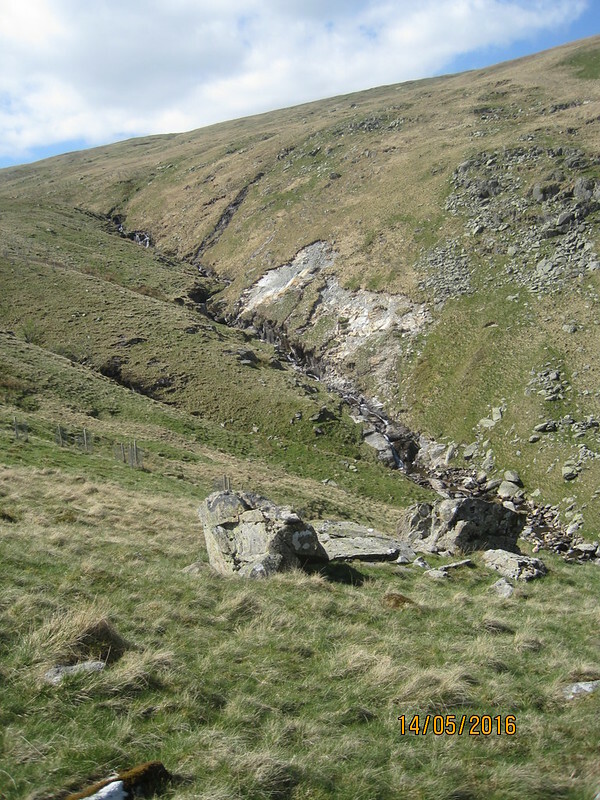 Near the top of the steepest section we found spoil heaps and the outlines of old buildings or shelters. These are not marked on the map at all, so came as something of a surprise. 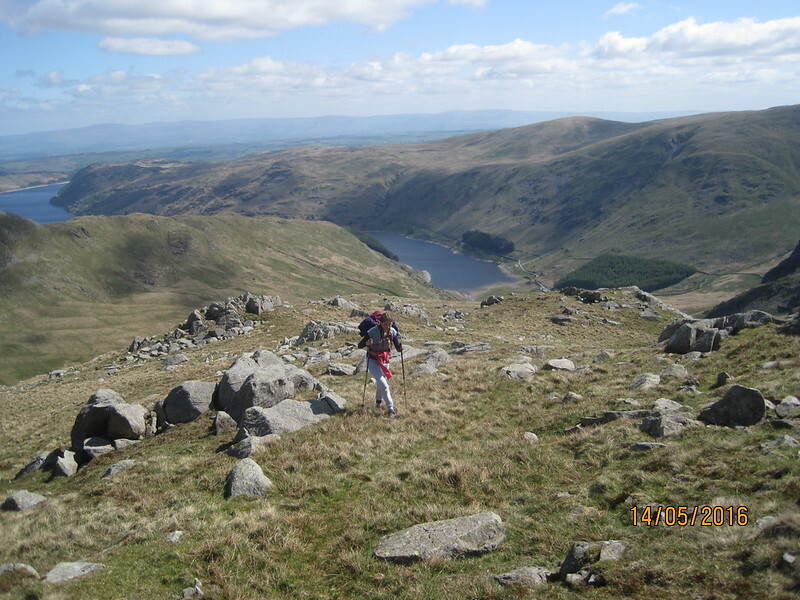 Above this point the ridge broadens and leads very pleasantly up to Mardale Ill Bell. 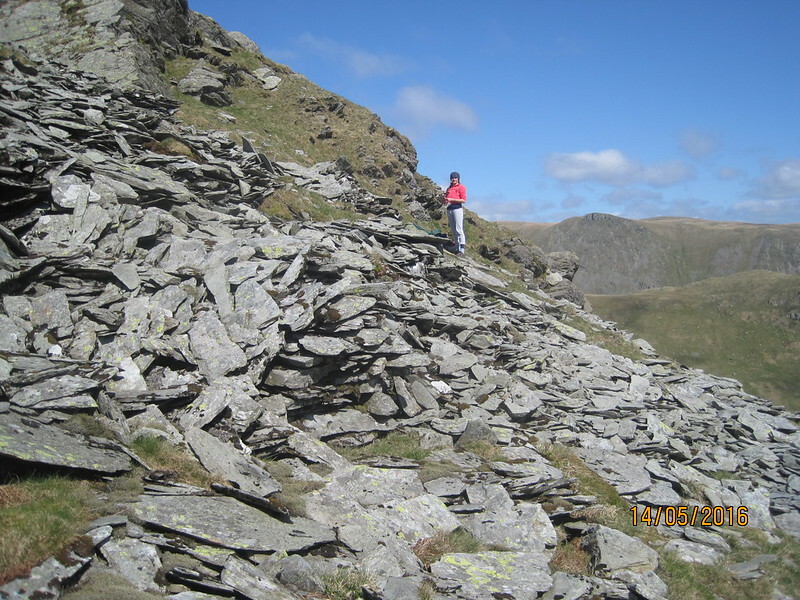 Once on Mardale Ill Bell, we had more choices to make. We could descend via Rough Crag above Riggindale; we could walk round to Kidsty Pike and down from there, or we could take a longer route over High Street, Rampsgill Head, Kidsty Pike, High Raise, Low Raise and then down. Presented with the option, A chose the longest route, which sat fine with me because I wanted to grab Low Raise, thinking it was the only Birkett in the area I was lacking. There’d been two more parties camped close(ish) to Small Water, but we’d had Piot Crag entirely to ourselves. We were faced with a bit of a rude awakening now then because the paths on High Street were pretty busy. 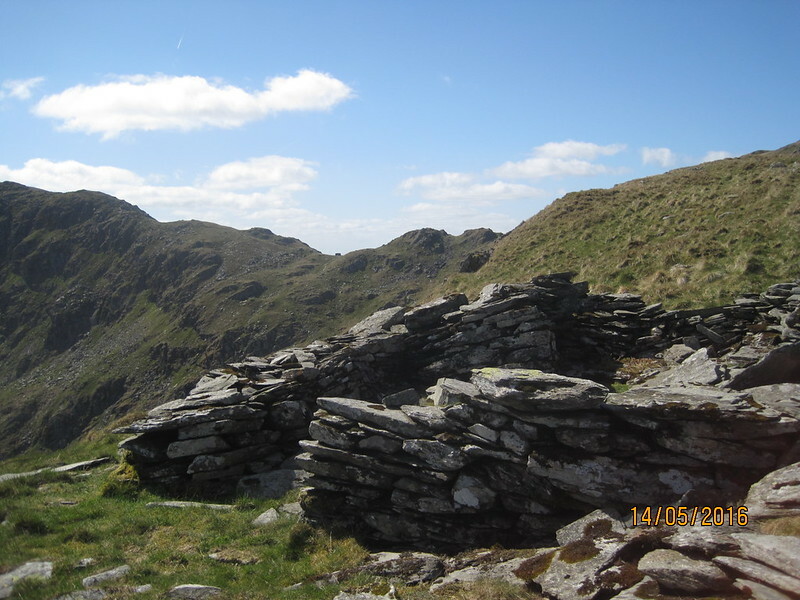 The substantial cairn on Low Raise. 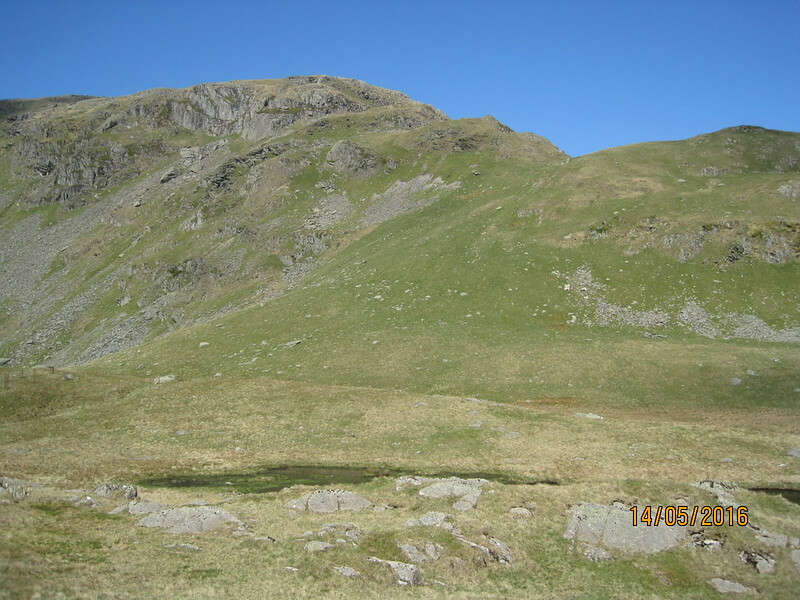 I’d planned to descend from Low Raise along the edge of Whelter Crags and down Birks Crag to Castle Crag (where the fort is marked on the one to fifty), but once we were descending it seemed more inviting to drop down to Randale Beck and follow that (there’s a good path on the south bank). I missed a trick really – it was only when I got home that I realised that Castle Crag is another Birkett. What a shame – I shall have to go back again. Here in the valley it finally warmed up and I was able to swap all of my winter clothing for the shorts I’d been optimistically carrying. A grand day (and a bit) out, hopefully the first of many. Just need to acquire a warm, gargantuan – but lightweight and cheap – sleeping-bag (should be easy!). And a stove that works consistently, not just when it’s in the right mood. Awesome trip and great that A has the wild camp bug. Mornings like that are special. 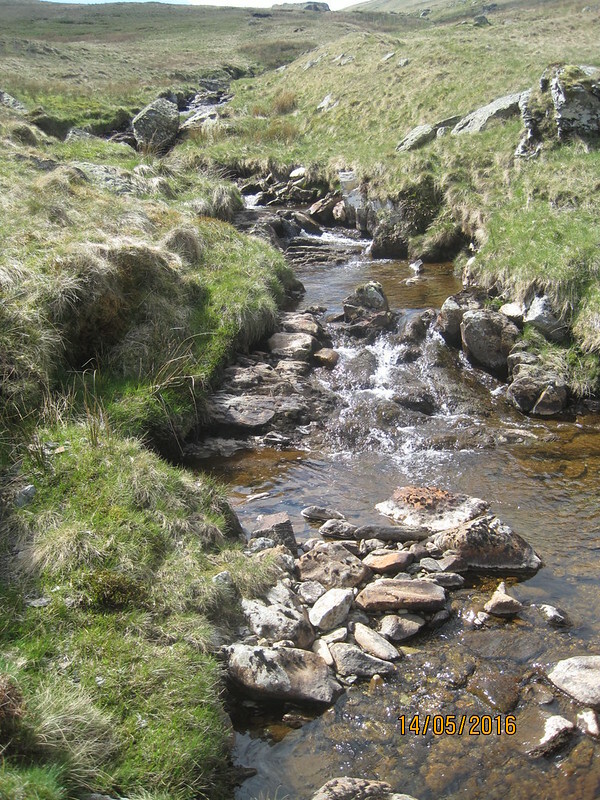 We need to try and arrange a wild camp weekend with the boys as well. I may drop an e-mail out later. The Hardman is well keen. Take two stoves into the camp? Why am I not surprised? Mind – I imagine you need two stoves in order to cook the unfeasible quantities of raw onion you insist on carrying.